DCL's heat recovery systems can greatly increase the efficiency of internal combustion engines, used in power generation, by utilizing exhaust heat energy that would otherwise be wasted. 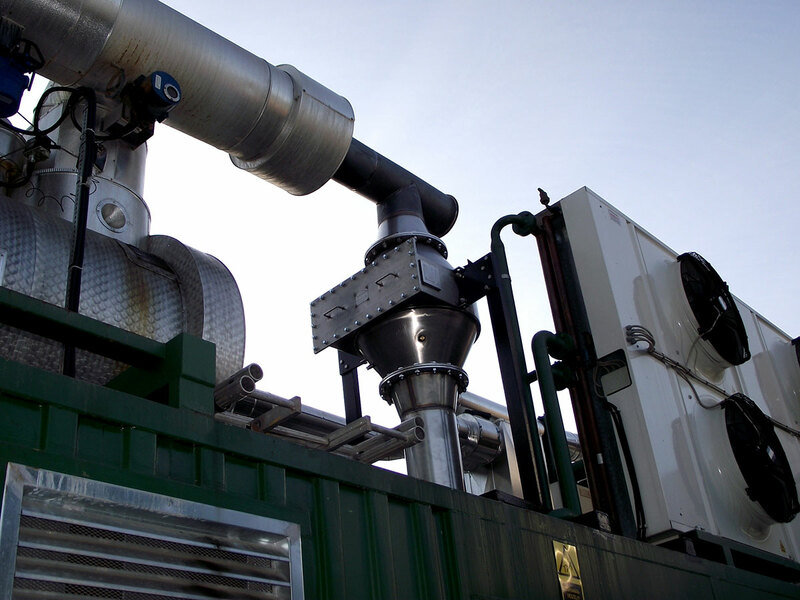 The close-coupled catalyst/heat recovery systems can be designed for first fit or can be custom designed to replace existing separate catalyst and recovery systems. Catalyst can be sized to meet the most stringent emissions specifications in North America and around the world. Common applications that would benefit from a heat recovery system include: hospitals, schools, nursing homes, airports, correctional facilities, hotels, and apartments. Many countries and states offer incentives to locations that adopt an energy recovery system. DCL backs every stationary engine catalytic converter with an emissions performance guarantee, providing you worry free compliance with environmental operating permits. DCL sales professionals are strategically situated across North America and Europe to provide local emissions regulation expertise as well as expert product knowledge and sales support wherever you need it. For assistance selecting the right catalytic converter/ heat recovery system for your needs, contact a DCL sales professional.